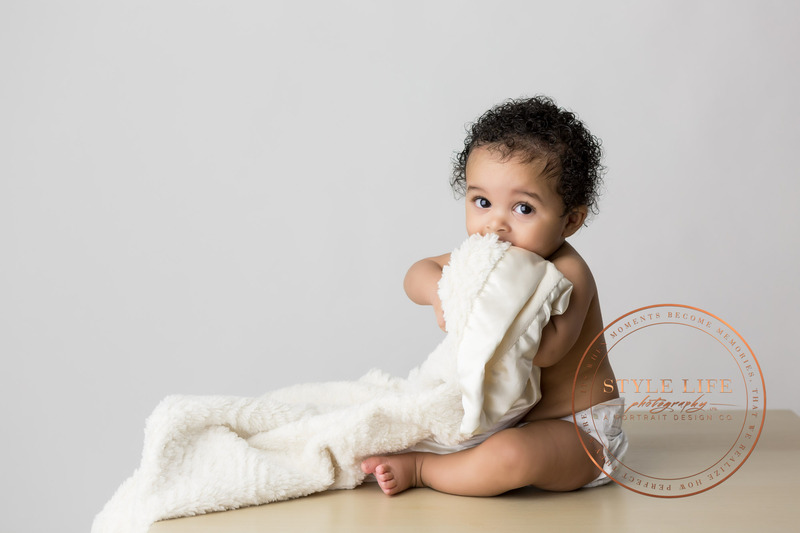 I love being able to take baby photos of nieces and nephews! 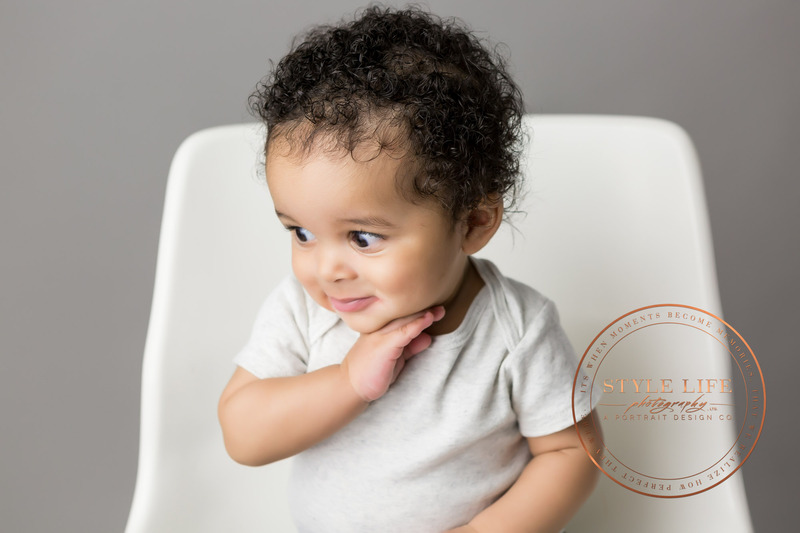 How cute can it possibly get? 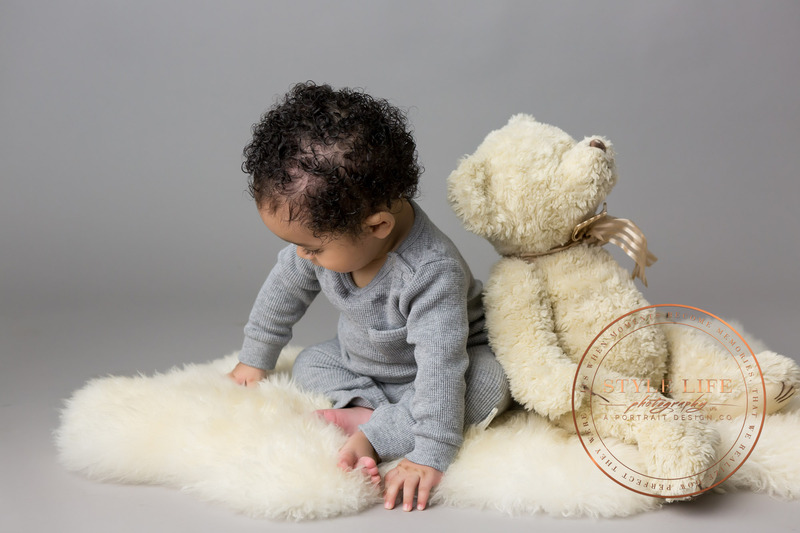 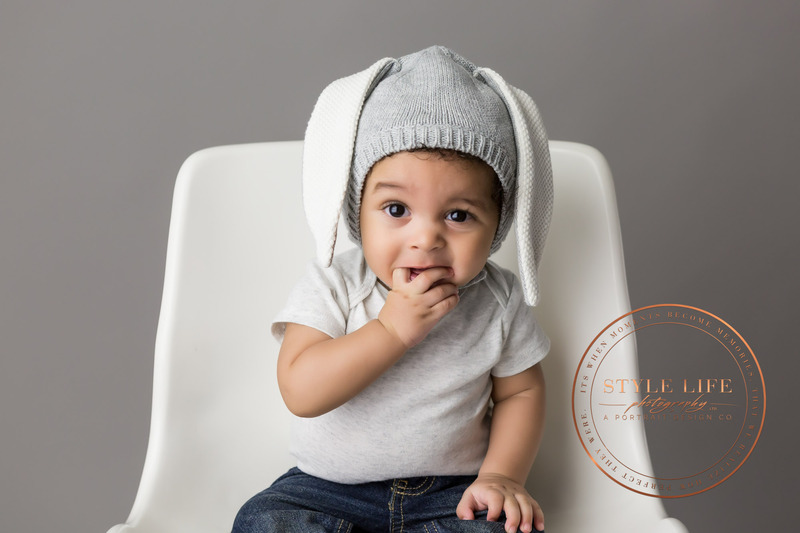 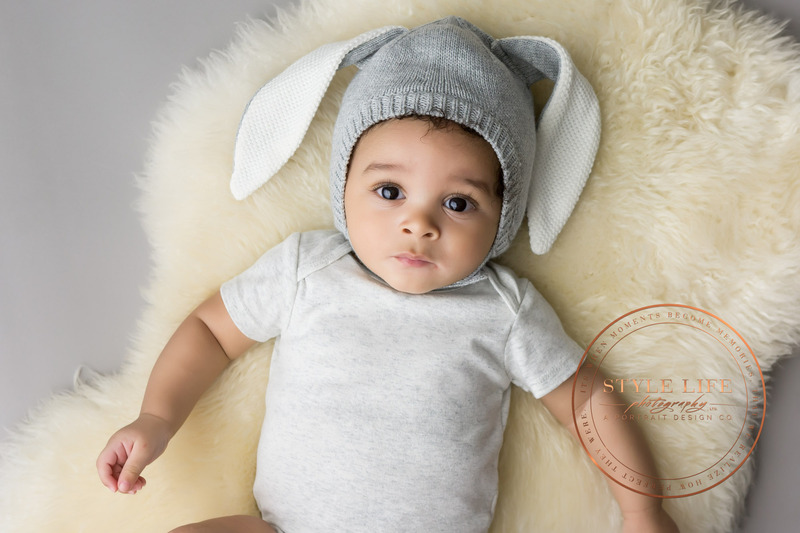 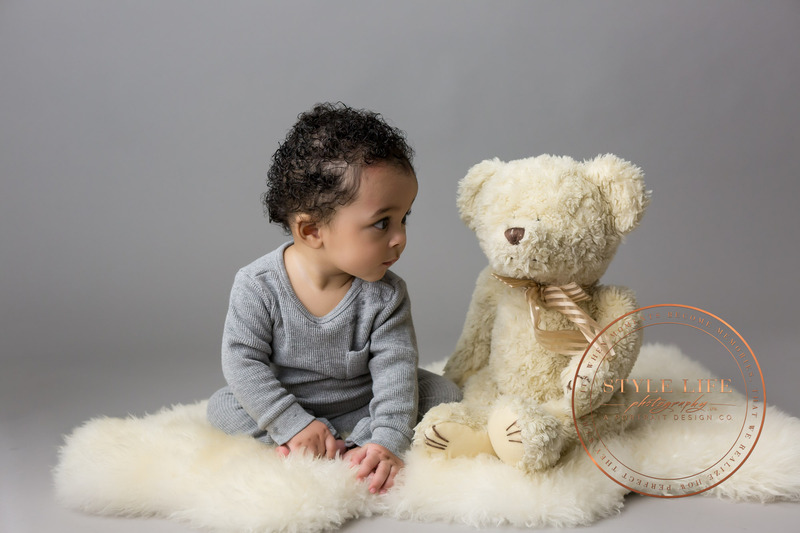 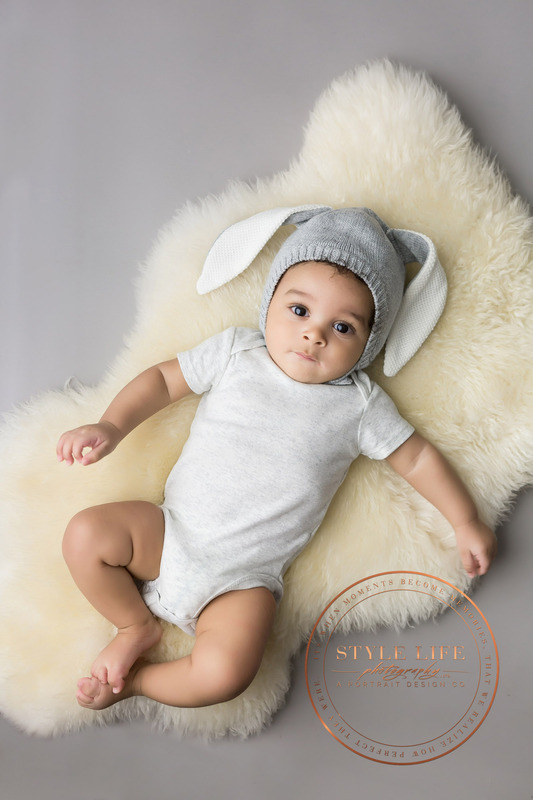 We used a favorite stuffed bear, adorable bunny ear hat, and neutral outfits for a modern, but cozy style for his sitting session in the studio. 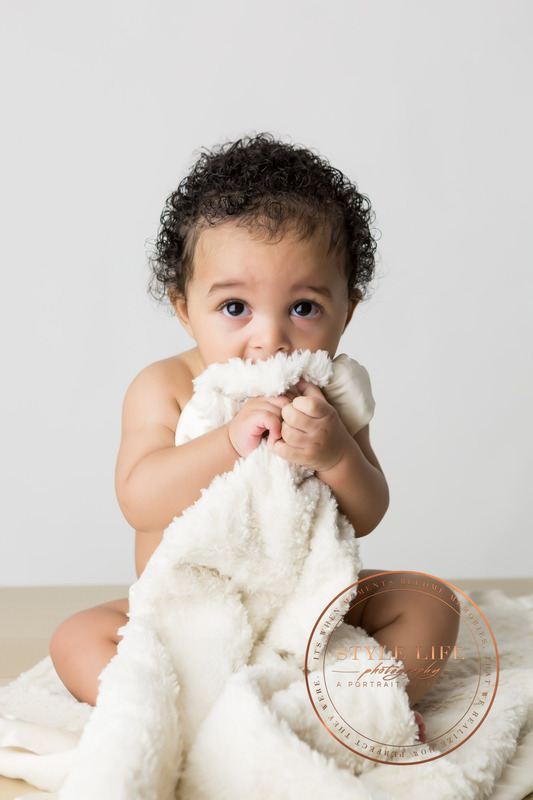 Because babies vary greatly in their development stages, we avoid scheduling milestone sessions too far in advance. 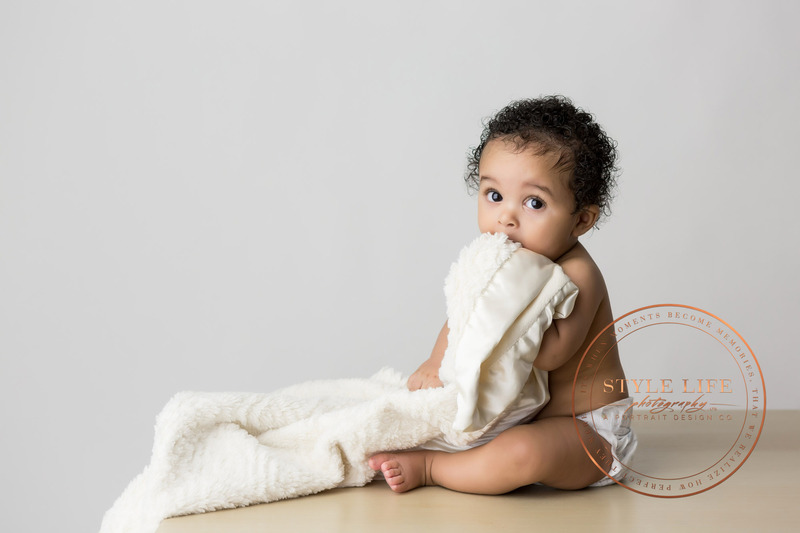 We like to wait until they are fully in a new stage so that we can show the full range of their development through their first year of life. 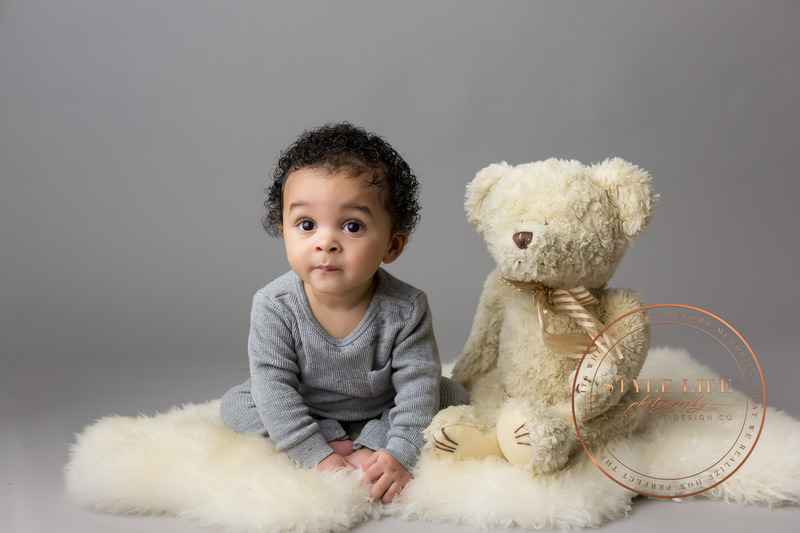 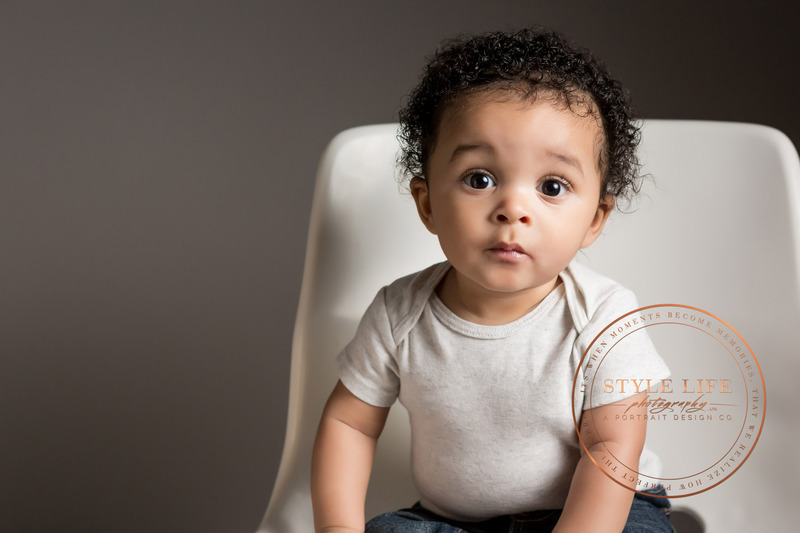 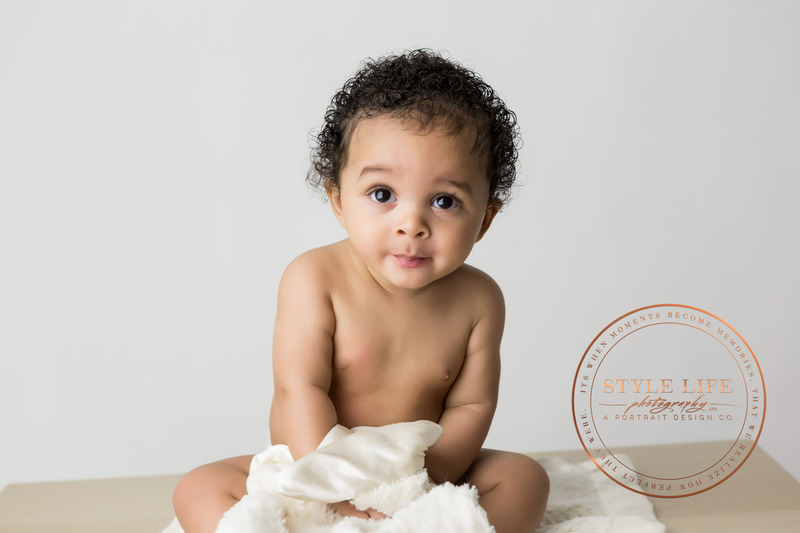 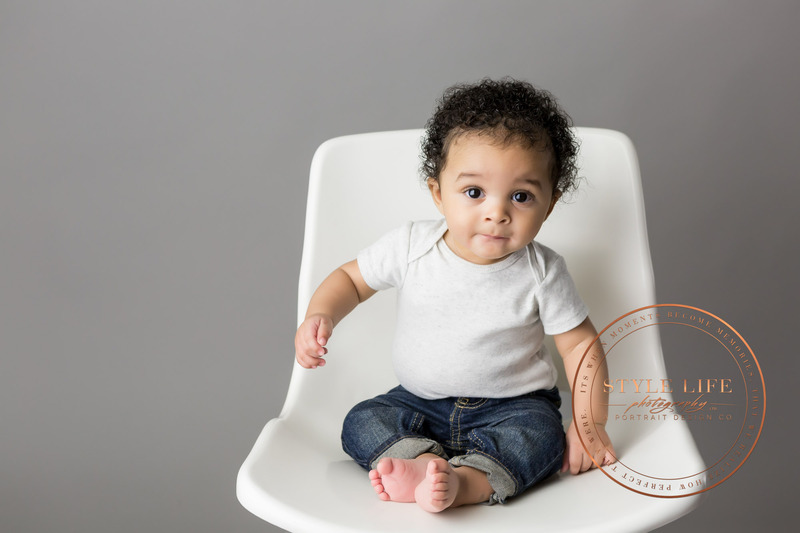 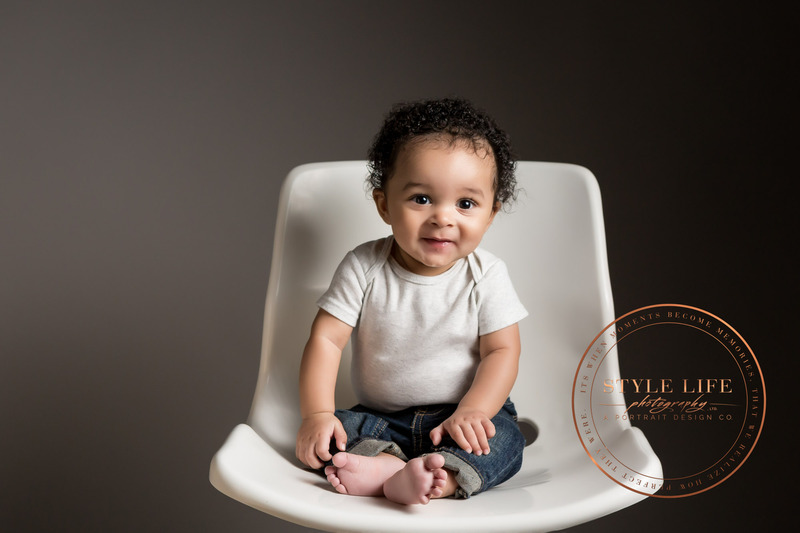 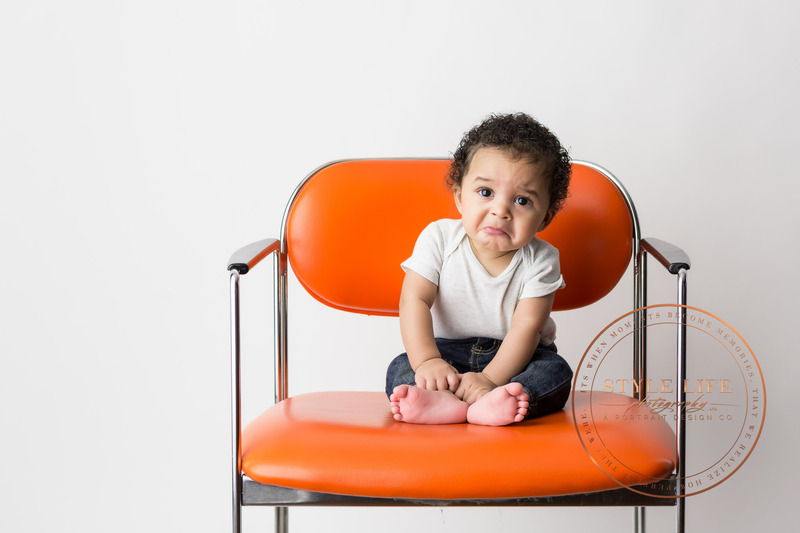 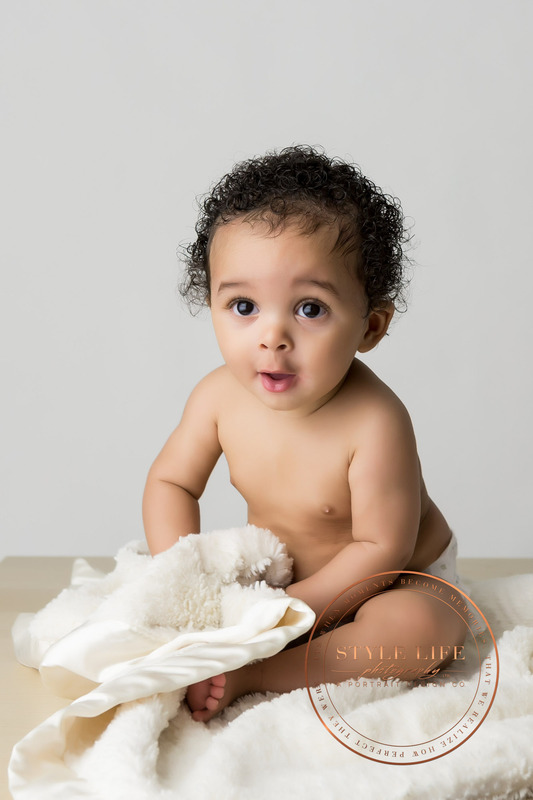 The Newborn baby photo session is followed by a Sitting Session when the baby is sitting well on his own, usually around six months of age. 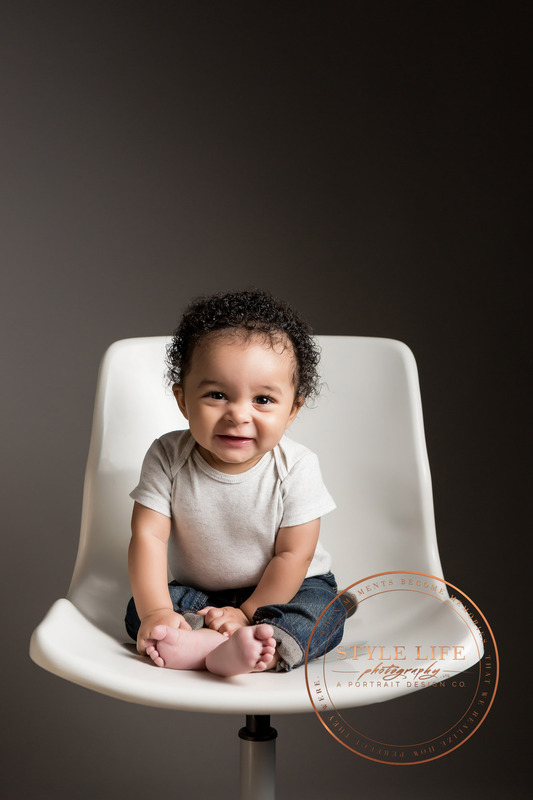 After that comes a Standing Session when the little one is standing on his own or around a year old! 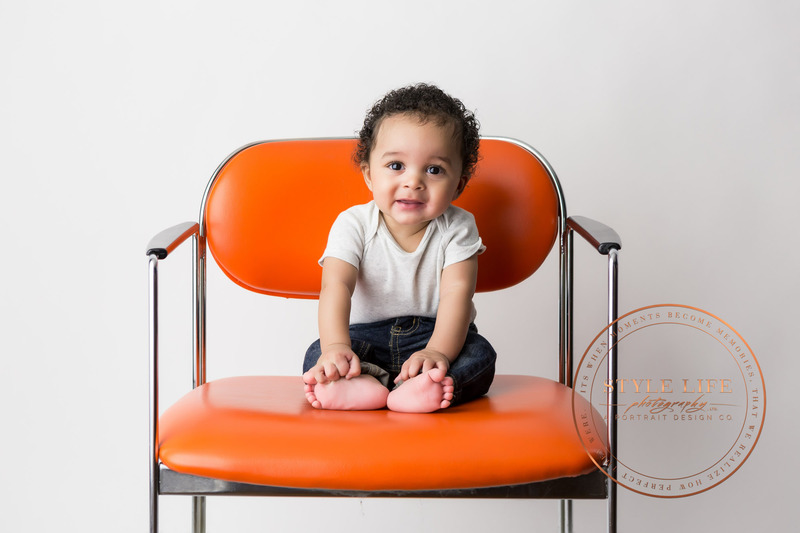 Of the Sitting and Standing sessions, one is in the studio and one is outdoors, depending on the season for each of those times. 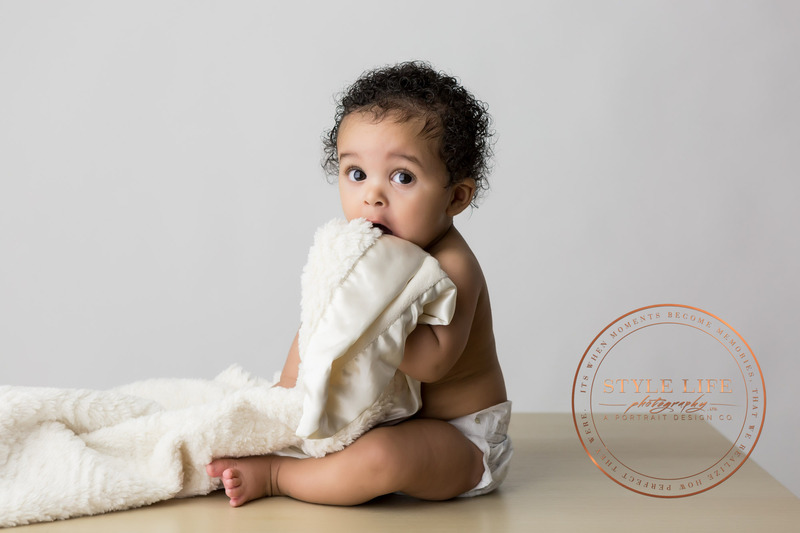 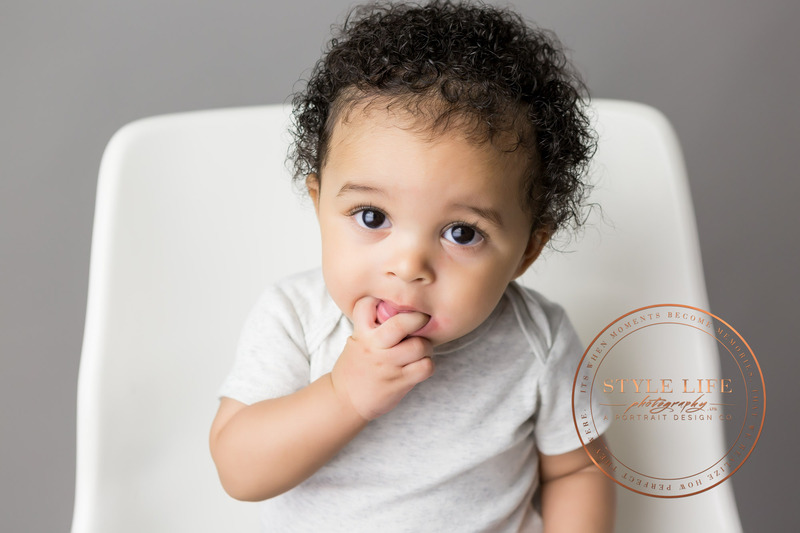 This photo session will blend beautifully with his newborn baby photos in an album, and since the styles are similar they work very well together framed on the wall too.